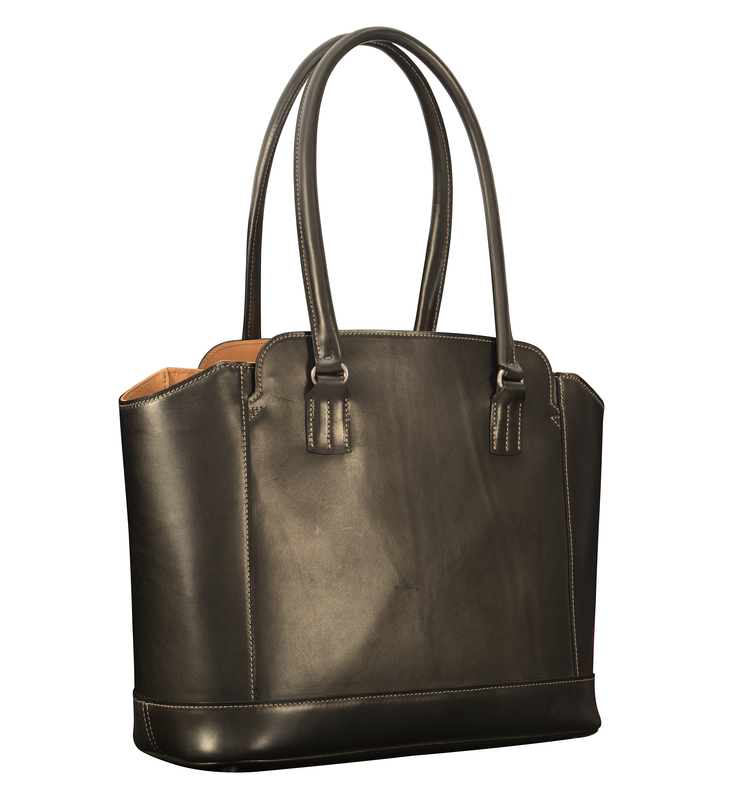 14″ hand-burnished black City Tote with natural trim: $950. 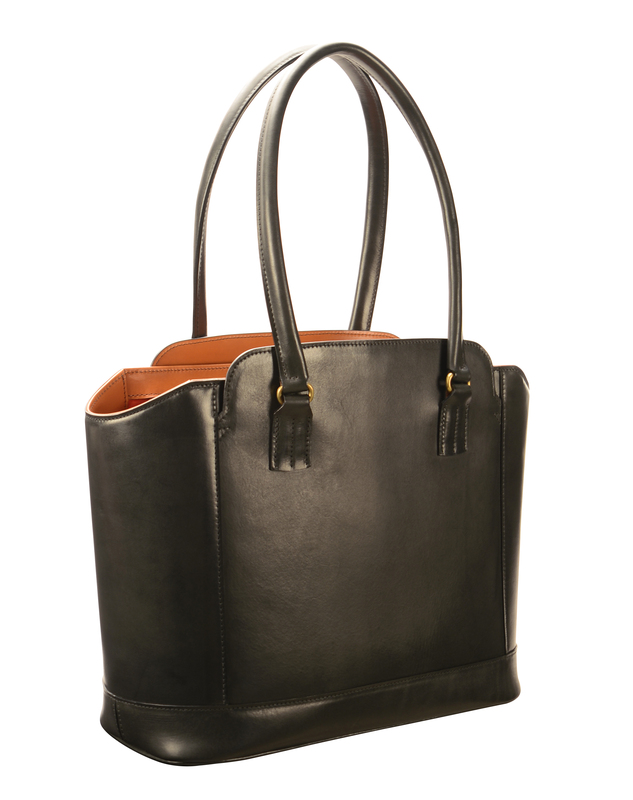 16″ hand-burnished black City Tote: $975. 16″ hand-burnished black City Tote with turquoise lining: $975. 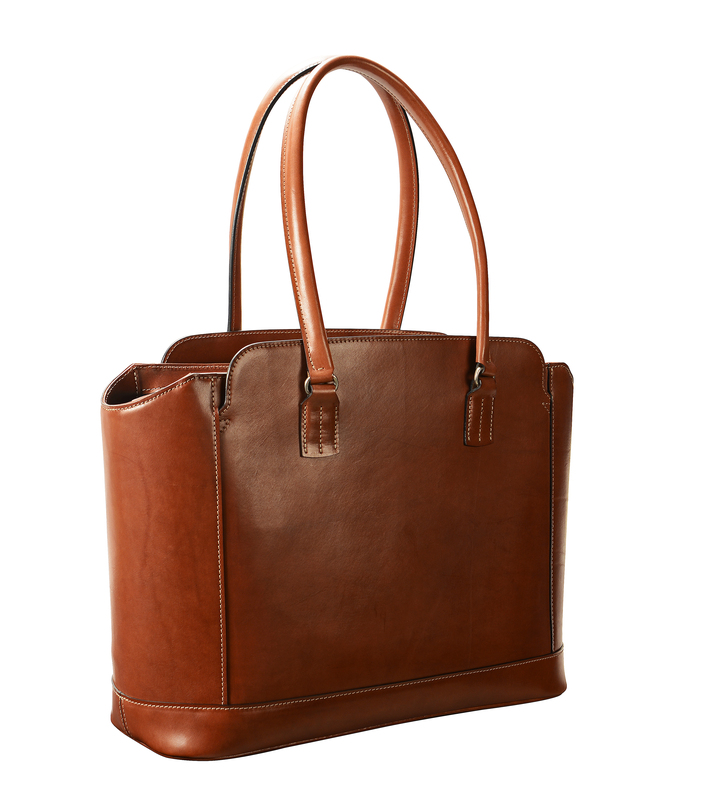 16″ hand-burnished chestnut City Tote: $975. 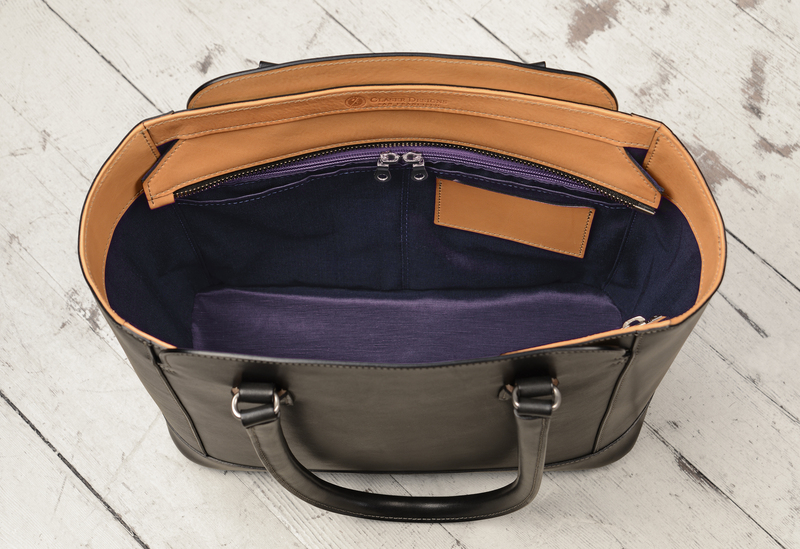 14″ hand-burnished black City Tote with natural trim. 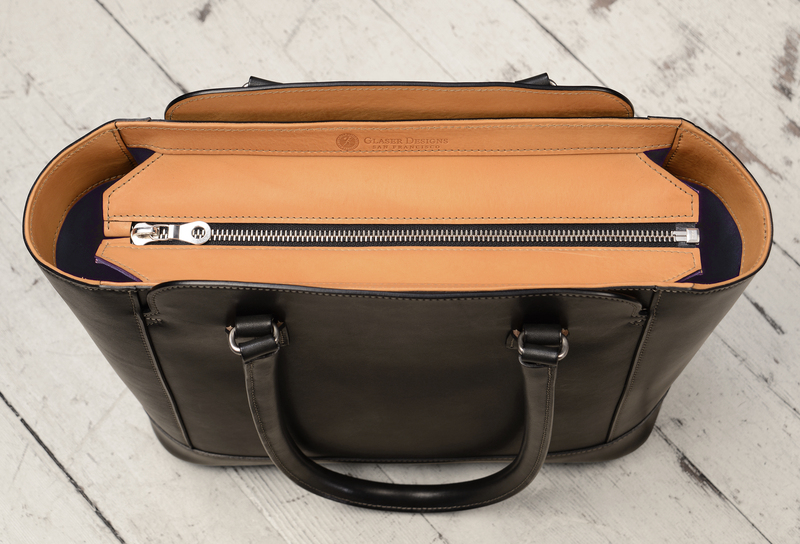 14″ hand-burnished black City Tote.